Sal Ficarro became the newest member of the Crofton Rotary Club this last Tuesday at our Monthy dinner meeting. Sal is a resident of Bowie and a retired Civil Engineer. He has already begun using his talents as an engineer to help us plan a future service project. 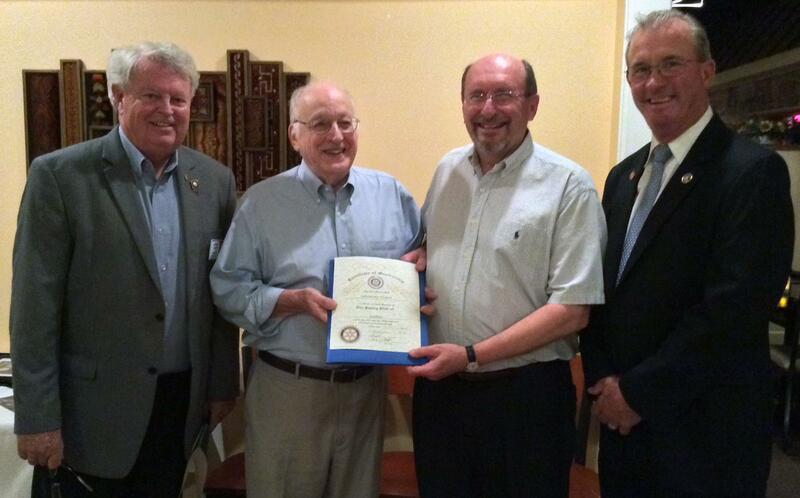 Pictured here are (l to r): Rotary District 7620 Area Governor Larry Leahy, Sal Ficarro, club sponsor Tom Callahan and President Roger Morrison.